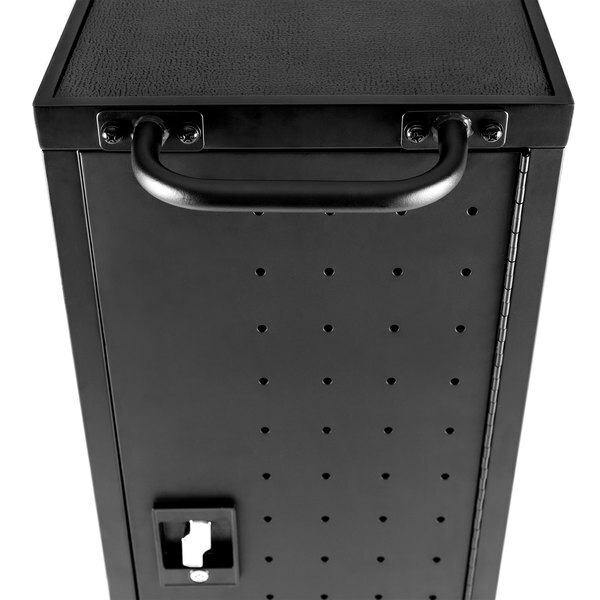 Securely storing, charging, and transporting your tablets and laptops is easy with this Luxor/H. 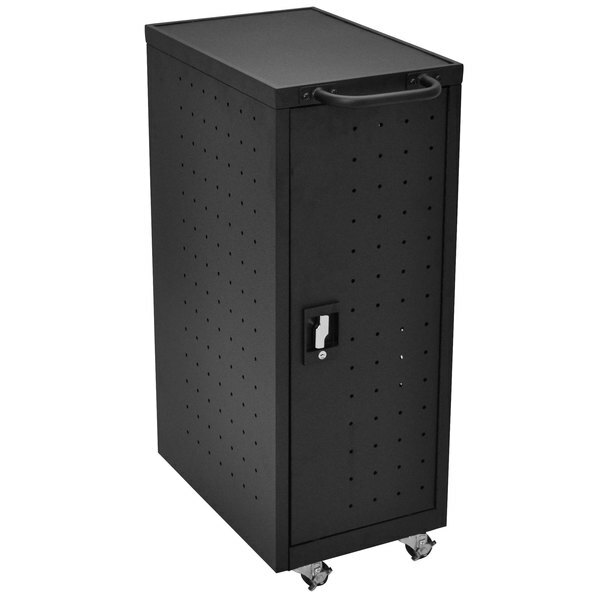 Wilson LLTP12-B 12 device charging station and storage cart! 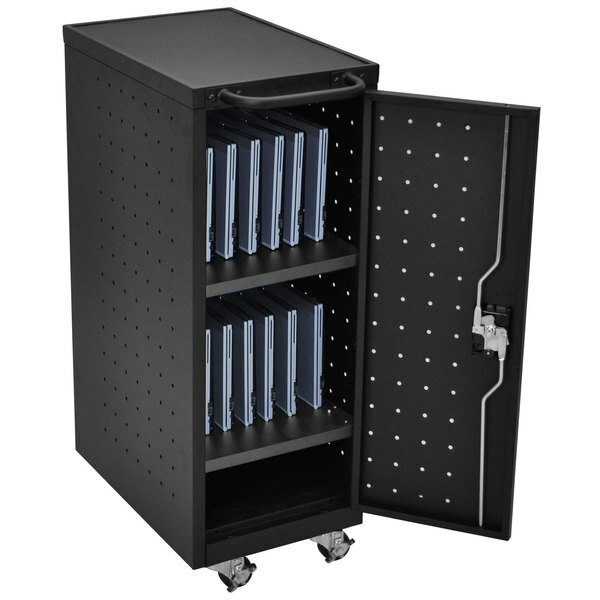 This cart has two shelves with 12" of clearance, each with rubber-coated dividers spaced 1 3/4" apart to protect and store up to 12 tablets or laptops at a time. 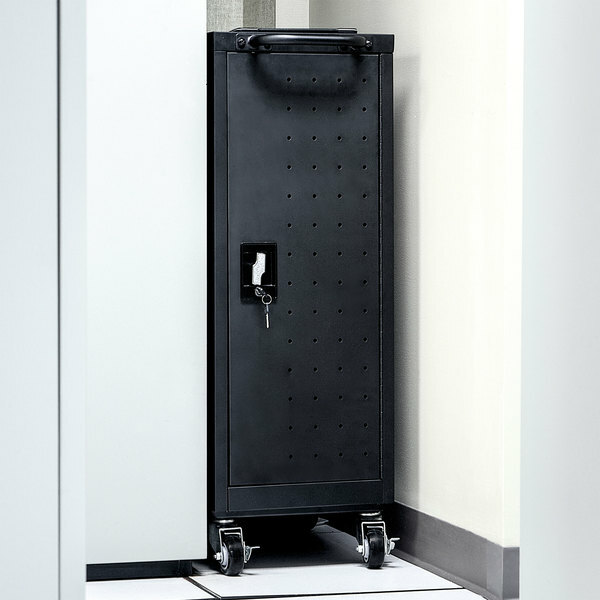 Ventilation holes are located on all four sides of the unit to increase airflow and prevent your devices from overheating, while a rear door allows access to a 12-outlet electrical assembly designed to efficiently charge your devices overnight or during off-hours. 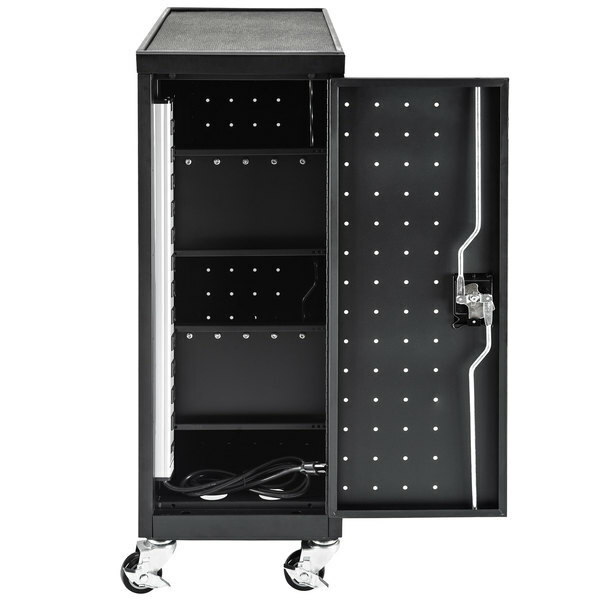 In addition, a bottom shelf with 4 1/2" of clearance gives you plenty of space to keep accessories such as chargers, headphones, or styluses on hand. 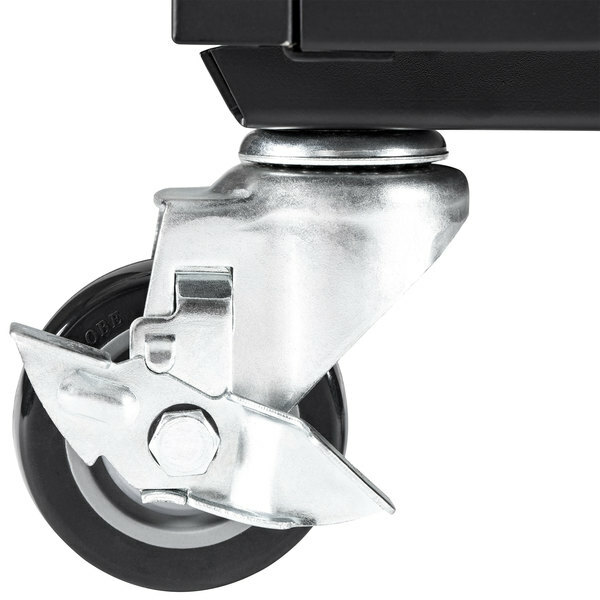 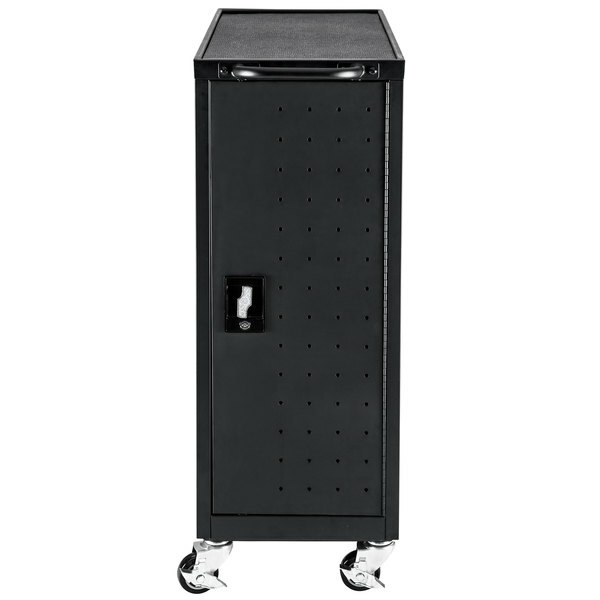 This mobile charging station is made entirely of black steel and has four 3" casters, two with brakes, for easy maneuvering from classroom or conference room to storage area. 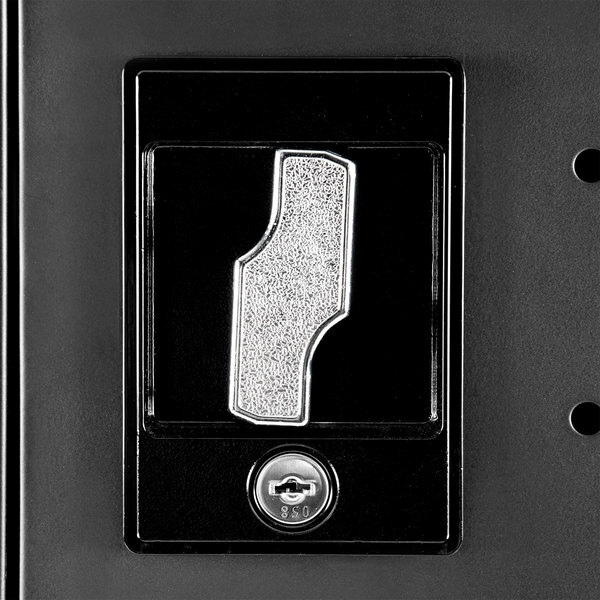 For added security, this unit also comes with a heavy-duty locking system and set of two keys. 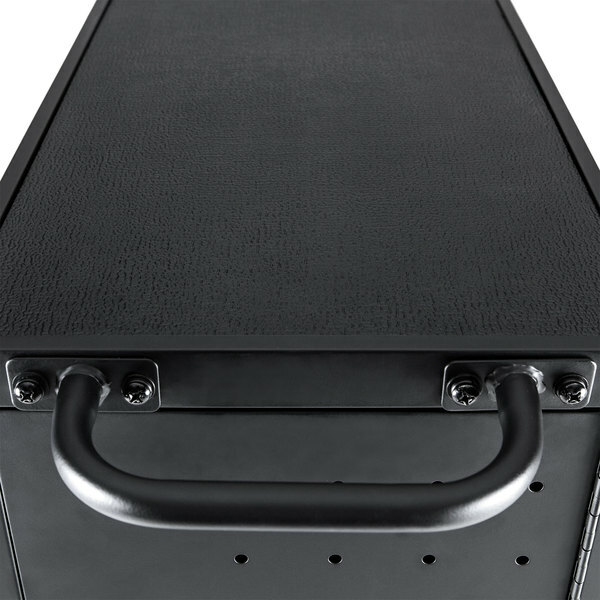 Luxor LLTP24-B 24 Laptop Charging Cart - 31 1/8" x 21 1/8" x 40 1/8"
Luxor LLTM30-B 30 Tablet / Chromebook Charging Cart - 26" x 20 1/4" x 36 3/4"
Luxor LLTP32-B 32 Laptop / Chromebook Charging Cart with Timer - 28 1/2" x 21" x 38 1/4"